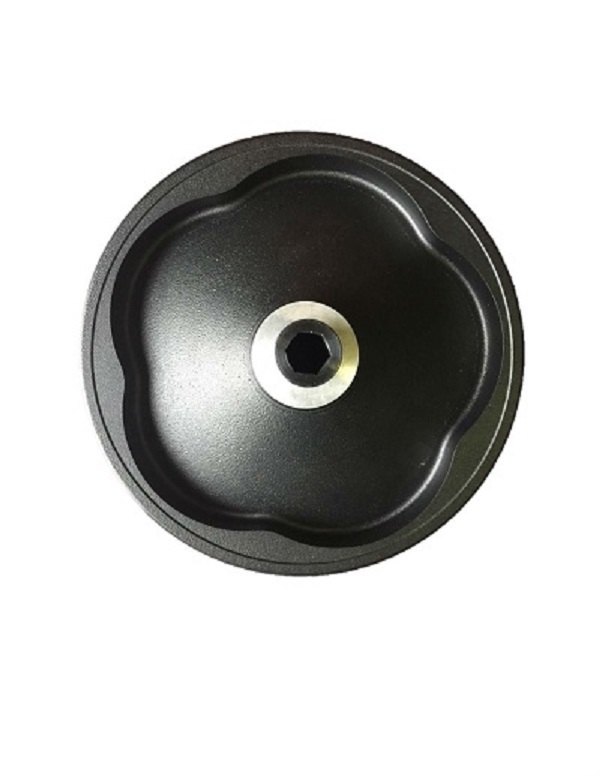 Handleless solid dish handwheels offer a combination of features and benefits found in few other industrial components. 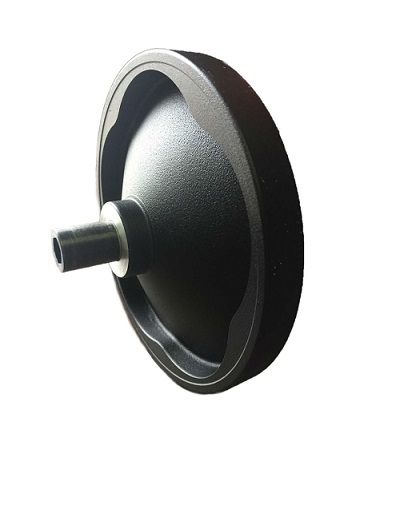 Their simple and sturdy design ensures reliability and extended product life while allowing for installation in limited space areas. The model shown here is finished in a high quality black powder coating to protect against corrosion in all mounting situations and features a series of soft curved finger grips under the rim that allow for complete index finger engagement. This complete finger and palm engagement allows for maximum torque application while making minute position adjustments with the utmost of ease. 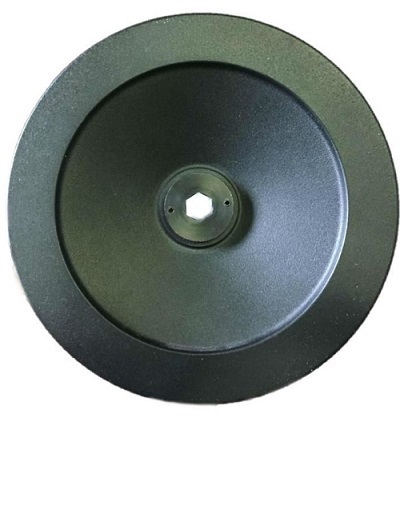 Handwheels can be found in numerous settings including the opening and closing of valves, machine tool and saw blade adjustment, and manual press operation. We offer bore types and sizes to fit any request. Custom designs and features available.